Long gone are the days of slogging through your workouts alone now that group exercise classes are all the rage. High-intensity and high-cardio activities such as Zumba and Spinning are becoming so popular. There are whole exercise studios devoted entirely to them are popping up all over the world. Let’s look at the reasons for its popularity and what to expect in both. Why Are Group Exercise Classes a Better Workout? Nothing brings people together quite like catching your neighbor’s eye and knowing that you’re both feeling the mutual slump mid-way through your class. At the same time, nothing is as unifying as making it through that class and feeling a great sense of accomplishment as a team. With group exercise classes, you can be as anonymous or as in the spotlight as you want. Choose your spot at the front, in the middle, or at the back – wherever you feel comfortable. Exercising in a group takes away a lot of the anxiety and self-awareness that can come with exercising, which can be quite daunting for any new starter. It’s much easier to achieve your fitness goals when you’re attempting to do so in a team environment. You can learn to push each other and motivate your class-mates to reach further. Both classes were designed by and are run by fitness professionals who know what they’re talking about and who lead participants through the classes in a safe and tested way. All classes will have adequate warm ups, warm downs, and stretching – which also minimizes the chance of injury. Because they are so popular and need to accommodate so many people, group exercise classes run on tight schedules. You can rest assured that you’ll have just the right amount of activity within a set time frame that works in your schedule. Zumba and Spinning classes welcome people of all fitness types and allow you to take the work-out at your own pace. If you need to sit down for a bit in Zumba or lower the resistance on your spinning bike, you can. We all know the importance of music and how it can make or break your workout, whether it’s a power anthem getting you through the last ten minutes of a climb in your Spinning class or a song with a great beat that makes you want to dance a little harder in Zumba. With group exercise classes, all the music is tailored specifically to the class and to maximizing your workout. Zumba exercise classes have taken the world by storm with its Latin-inspired beats and high-intensity workout – these classes help participants dance themselves to fitness in a fun way. If you love dancing, you’ll love this even more. Most Zumba classes are an hour long and begin with a warm up and end with a cool down and some stretching. Zumba classes most often follow the original class structure, and will include the same, or very similar, steps. 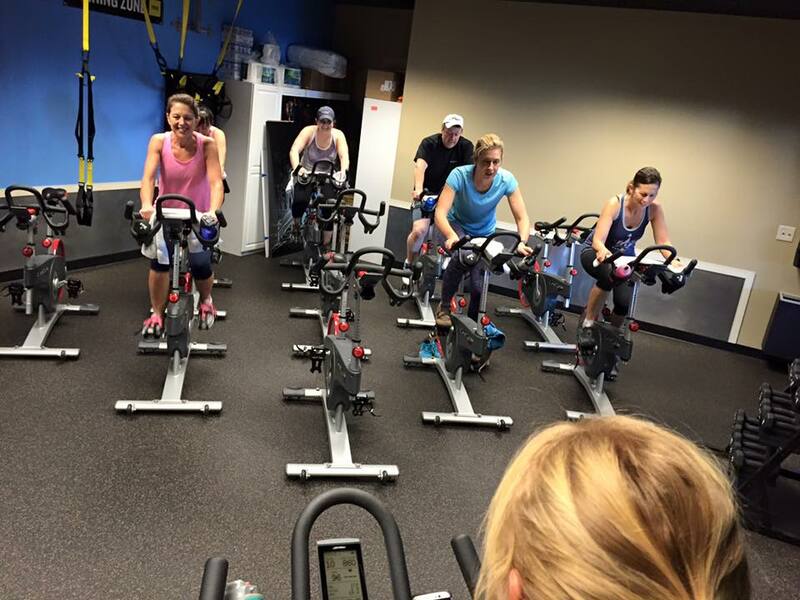 Spinning classes see certified indoor cycling instructors leading you through a 45-minute to hour-long class, which includes a warm-up, cool-down, and stretching sequence. As your work-out reaches its peak, your instructor will ask you to adjust the intensity and increase the resistance on your wheel, but participants are the ones who can tone it down and up as much as they’d like and according to what they believe their own abilities are. While spinning is a cardio exercise at its core, it is also excellent for building muscle. What Should I Wear to a Spinning or Zumba Group Exercise Class? It’s important for both group exercise classes that you wear clothing that doesn’t constrict you and that allows you to move easily, because there is a lot of moving to be done – especially in Zumba. You’ll also need a good pair of gym shoes that give you adequate support. Check out our Reno fitness center class schedule for a full view of our upcoming classes.